Often times when I go into the wine shop to grab a bottle I will head towards what I know. If I’m cooking Italian I will look for Sangiovese. I was never quite sure about red wines with the d’Abruzzo label. I didn’t know much about the region or the winemaking. 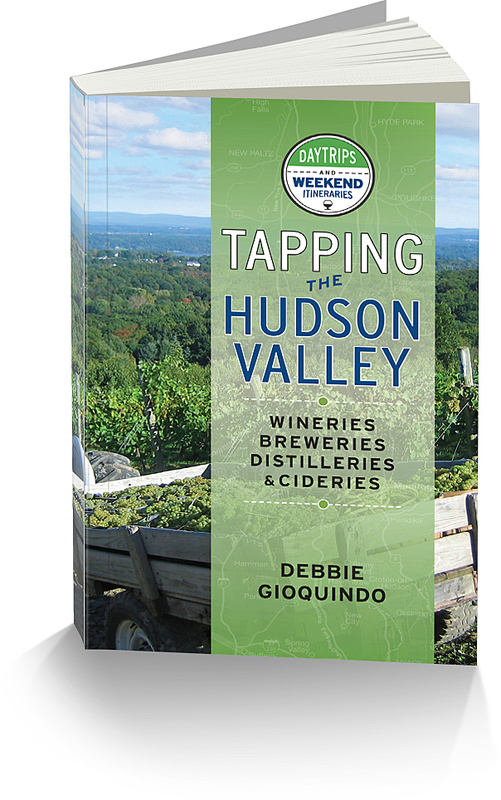 In researching for this article I found out that the wines are produced from a co-op. Many growers of which the majority are small, some with just 1 hectare. Once known for bulk wine production the region has made a turn-around. The wines I tasted below I was impressed with, especially the Pecorino. In fact, if you are a Sauvignon Blanc lover, I would give this wine a try. As you read in the article, the wines are very reasonably priced all under $30. The d’Abruzzo wine region is an region 50 miles east of Rome and borders the Adriatic coast. It’s a rugged region with mountainous terrain up to 9,000 feet above sea level. The region is divided into four provinces: L’Aquila, Teramo, Pescara and Chieti. Major grapes grown in this region are Trebbiano, Pecorino aond Montepulciano (not to be confused with Nobile di Montepulciano which is made from the Sangiovese grape.) The region has one DOCG Montepulciano d’Abruzzo Colline Teramane where 90% of the wine has to be Montepulciano. Montepulciano d’Abruzzo DOC requires 85% Montepluciano and Controguerra Rosso DOC requires 60% minimum of the Montepluciano grape. Wine cooperatives dominate the Abruzzo region. This gives small growers more of a voice in policy decisions being made and allows them to focus on new opportunities and export. 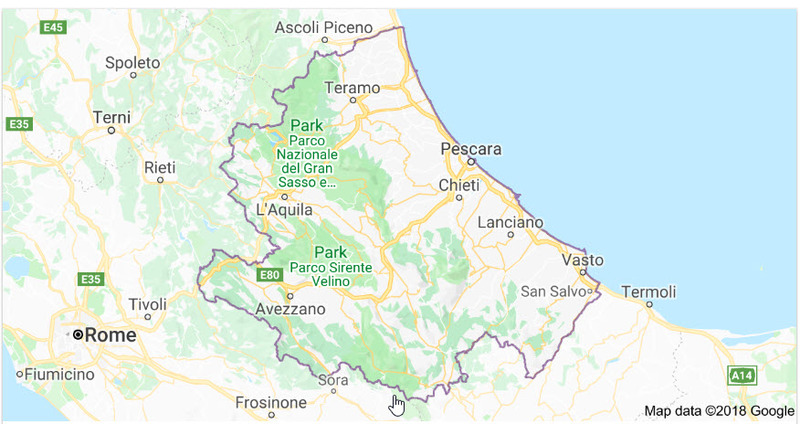 Founded in 1973 when 3,000 winegrowing families united.They have 6,000 hectares that cover the majority of the Chieti province, There are 9 production areas all different in terms of vineyard exposure, altitude, microclimates, soil composition, vine training and harvest techniques. Twenty-two oenologists and agronomists oversee all of this and care for the wines from the vineyard through processing to the bottle to your doorstep. The first vintage of this wine was produced in 1992. The grapes are grown at an elevation of between 300 and 1,100 feet in a pebbly soil and aged in stainless steel tanks for 2 months. That pebbly soil really comes through and shows on the minerality in the wine. This wine is nice, dry and crisp with aromas of lemon curd, wet stone and as the wine warms floral notes appear. 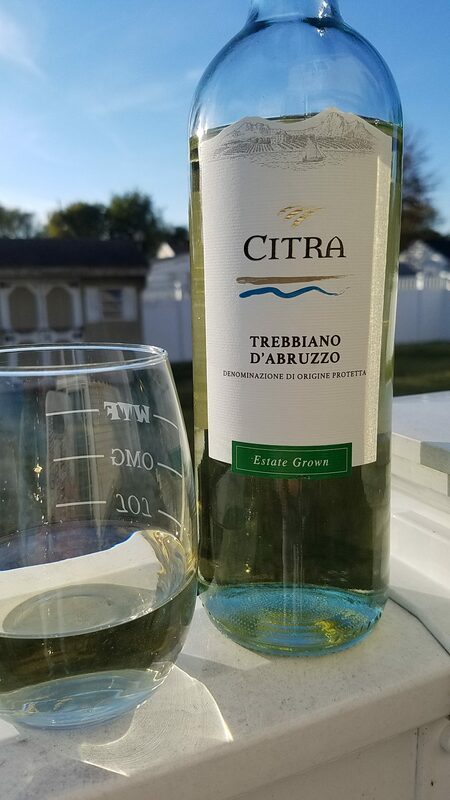 Flavors of lemon zest and citrus fill the palate with hints of minerality throughout. SRP $10 – a great value wine! The first vintage of this wine was 1973. 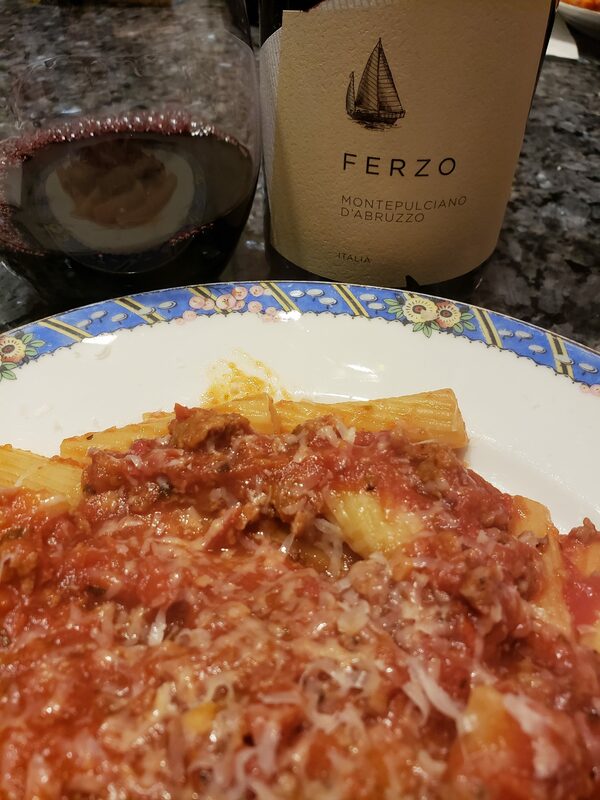 Grown at an elevation of 700 feet in calcareous and pebbly soil this wine is 100% Montepulciano and aged in stainless steel tanks. This wine went great with pizza and the Ouija board. Beautiful deep ruby color a little earthy, with juicy black berry fruit, hints of licorice with bright acidity. 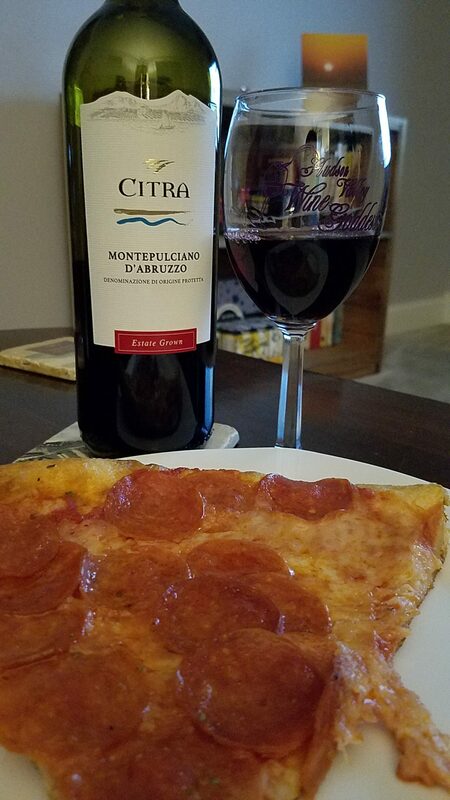 When eaten with a piece pepperoni pizza, seemed to tame down the acidity in the wine. SRP $10. You really can’t go wrong with this wine. The term Ferzo means a patch of fabric that is stitched together with others to create a flag or sail. 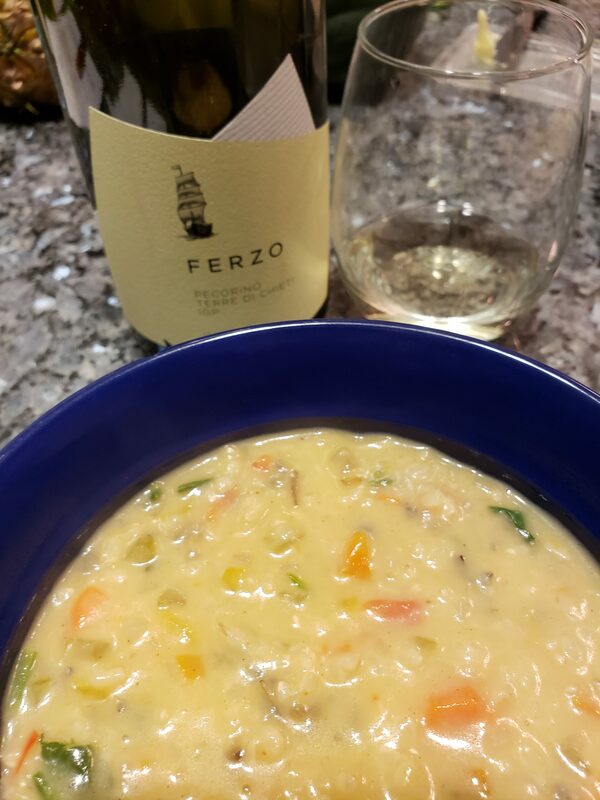 Ferzo Wines are the “union of the finest viticultural patches in Abruzzo,A single grand label that embraces the best of the region’s indigenous grape varieties.” Part of the Citra co-op family.